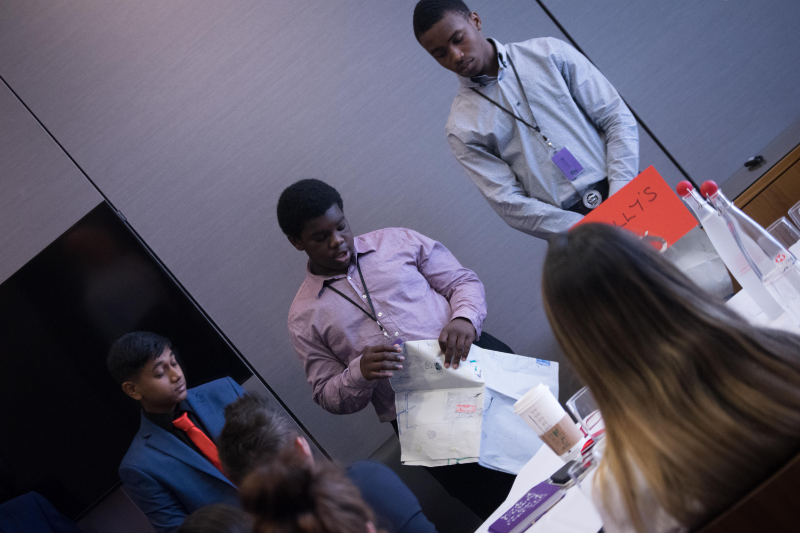 We sat down with young Mentee Mir after his Insight Into HSBC Week to find what impact it’s had on his life since. Read on to discover what he learnt and his insight into working life. 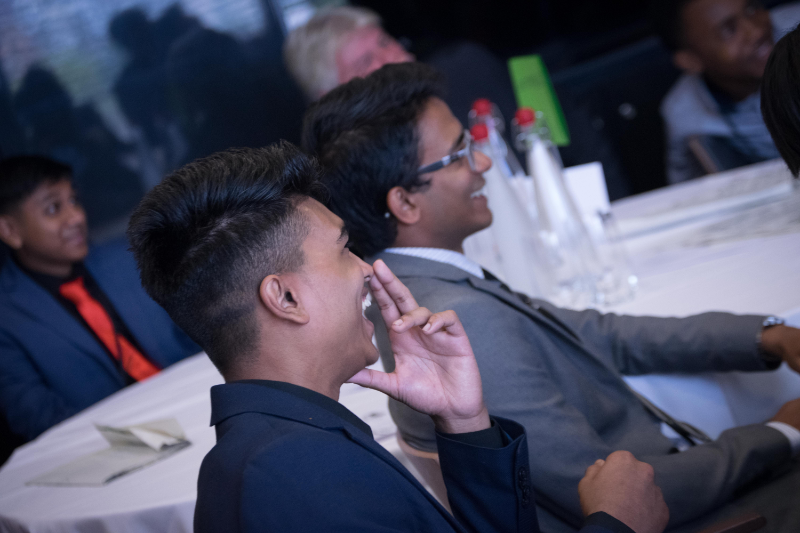 Earlier this summer, our Mentoring Team had the delight of taking a group of young people into HSBC’s Canary Wharf offices for a work experience week like no other. This was the start of our Insight Into Scheme, an innovative new offering that gives young people, often from disadvantaged backgrounds, a unique insight into the world of work. 11.5% of young people (16-24) are currently not in employment, education or training and we want to change this statistic. We know that young people are 86% more likely to secure a job when they have four or more encounters with the world of work. It is this knowledge that spur us on to give all young people the start they deserve in life. Read on to find out how Mir got on during his Insight Into HSBC! The Mentees at HSBC, Canary Wharf earlier this summer. Hi Mir! Can you tell us a bit about yourself so that our readers can get to know you? I’m Mir, I’m 16 years old, was born in Bangladesh and came to the UK in 2009. My favourite subject is sociology. I enjoy playing badminton, watching football, films and playing video games and I also like taking on leadership roles, from taking on the role of Head Boy in my primary school and also taking the post in Year 9 in secondary school. I plan to run for the Young Mayor of Newham next year. That’s fantastic! And what do you hope to do when you’re older? I’m still unsure on my future but the work experience at HSBC taught me that it’s okay not to be too sure on my future just yet. The success stories of the mentors in the room showed me that even if I don’t know at this point, I still have time to decide. Why did you want to get involved in the Insight Into HSBC Scheme with The Diana Award? I didn’t know much about the week, it was announced by our Head of Year in assembly. I’ve been on Diana Award events in the past and I knew all events carried out by them are beneficial. So, I decided to collect a form and apply as I knew I could put it in my CV and my college application. I also knew that getting to spend a week at one of the largest banks in the world would serve me a lot of benefits. Well, congratulations for making it on Mir! It’s a fantastic achievement. Tell us, how did you feel walking into HSBC’s offices on the first day of the scheme? There was a slight sense of nervousness but it was mostly excitement. I was curious as to what they had in store for me. I did a work experience prior to this in a law firm in South London where I had to photocopy over 10,000 documents and pretty much just take phone calls all day. I really hoped this would be slightly different to that and my wishes were definitely answered. This was worlds apart. Glad to hear it! How did the HSBC Mentors help you throughout the week? They made me realise that’s good to have a set goal but if you don’t have one there’s no need to panic. They also showed me that no matter your background, if you work hard you can get to the top. All of them gave me incredible feedback at the end of the week on how I can improve as an individual and in general they helped all the students better realise their self-worth. What would you say was you proudest moment of the Insight Into Scheme? Doing our presentation on the last day was probably one of my proudest moment as it was the event we had worked so hard for in creating our project. Our project was designing a perfect bank, we selected a target audience of young people but the bank would support the old and the young in a similar, simplistic way. As the project manager I had to allocate different jobs for the other students as well as Ian and Jaina, the two Mentors working in our group. Another highlight is when Lauren (Diana Award Facilitator) asked me in the end to just say thank you to the Mentors and I had to stand up and speak without any preparation. Whilst I was talking I was brought to tears in front of everyone trying to thank the individual mentors for the roles they had played in improving us just within this one week. Wow! It sounds like you had a fantastic week. What insights did you gain that will help you in the future? On the last day each of us was given individual feedback by the Mentors in front of the rest of the group and most of it was very positive. I learnt how to better handle an interview situation and how a little bit of humour can go a long way when pitching an idea or product. I also learnt that not knowing what I want with my future at this age isn’t the end of the world and there were many like me who now have successful stories to tell. I discovered that in the corporate world there are many who are willing to help and we just have to reach out to them for advice and they’ll do what they can in order to help us. And finally, is there anything you’d like to say to HSBC and the Mentors who supported you? I can’t put in to words how much I appreciate what they did for me, thank you for everything. They took time out of their busy days to come and help us and they worked so hard to help us develop as better young people. I want them to know that each and every one of us greatly appreciates what they did for us, and I thank them for giving me one of the best weeks and experiences of my life. INTERESTED TO FIND OUT HOW YOU CAN GET INVOLVED IN OUR INSIGHT INTO SCHEME?